Our Primary Care and Medical Care Services will provide you with complete Medical Care, for your Health and Well being. You should make us, your Medical Home, so that your entire health is looked after and cared for. Primary Care Doctor - Physician, practicing in Las Vegas, since 2001. 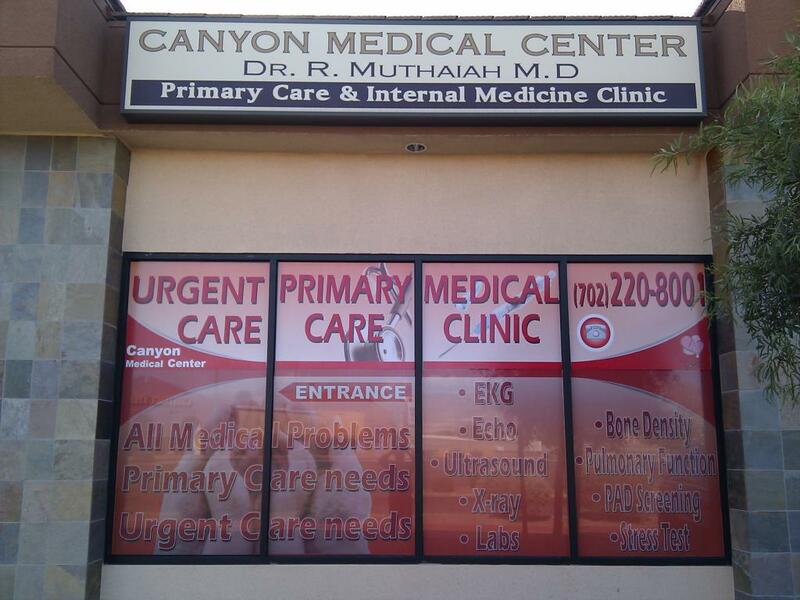 Canyon Medical Center - Primarycare Clinic is located, just OFF FreeWay US 95 - opposite Santa Fe Station Casino. Our Primarycare Doctors, accept most insurances, including medicare. Our Primarycare Physicians accept Walk ins, also appointments provided within short time to accommodate medical needs.